Students will be able to describe the four seasons and how people, places, things, and events are effected by each season in conversation and writing. 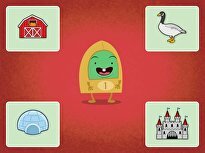 Ask your students if they know what the four seasons are. List the names of the seasons on the board. Ask your students the name of the current season. Ask your students to describe the current season. 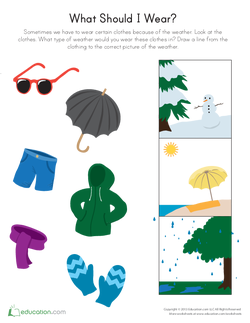 Prompt them to elaborate on what the weather is like, what people wear, what people do, what places look like, and what events happen in each season. 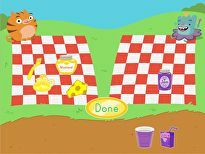 Draw 4 columns on the board and title them Summer, fall, winter,And Spring. 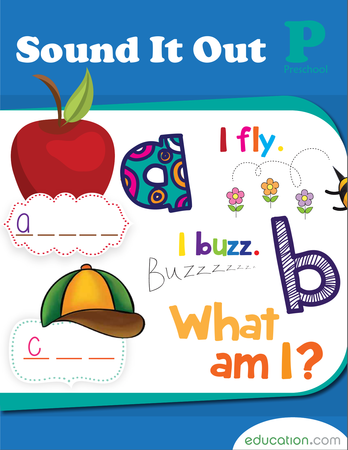 Teach the rules for partner discussions by creating a chart titled "Turn and Talk." Ask students to give you a thumbs up if they can agree to follow the rules for talking to their partner. If students are not familiar with the procedure, model participating in a collaborative conversation with a student volunteer. Model maintaining eye contact, active listening, taking turns and speaking about the topic under discussion. Make sure each student knows who their partner is. 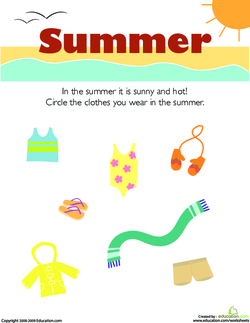 Tell students to follow the steps, and turn and talk to their partner to share words to describe summer (such as hot, warm or muggy). Call the students back together as a class. Choose a few volunteers to present words to add to the summer column. Repeat with fall, winter and spring. Add some of the information from the Introduction into the correct column. 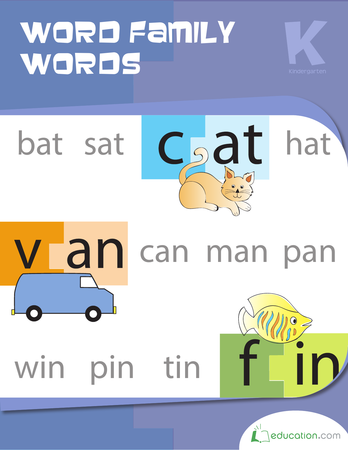 Instruct your students to complete the Spring, Summer, Fall, and Winter worksheets with a partner. Go over the worksheets as a class. "Why do we wear a jacket in the winter?" "Why do we wear shorts in the summer?" "Why do we wear dresses in the spring?" "What do we do in the spring? What things do we do in the winter?" 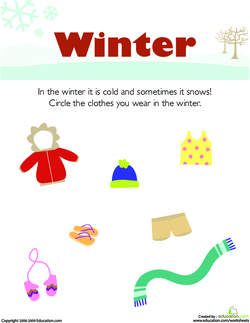 Ask your students to complete the What Should I Wear worksheet. 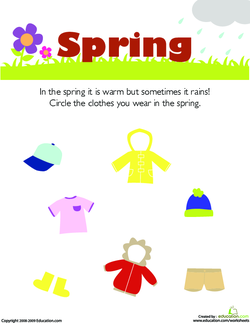 Go over the worksheet with your students and highlight how certain seasons effect their clothing choices and the events they attend. Allow some students to present their worksheet if time allows. 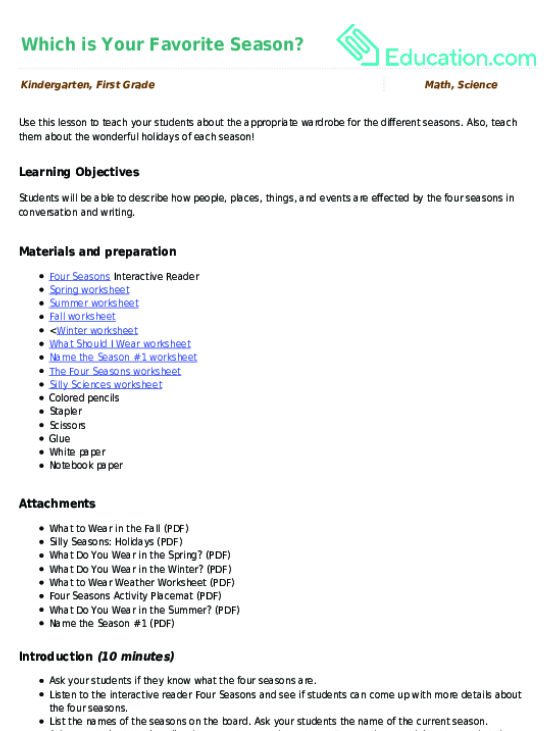 Ask your students to complete The Four Seasons worksheet. Ask students informal questions about what they see in each picture. 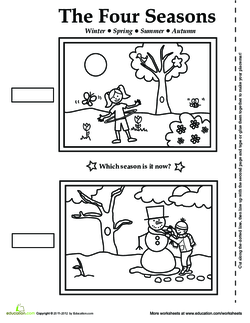 For example: What activities are the children doing in this picture of this season?This worksheet will enable students to visualize each season in their minds. Instruct students to complete the Silly Sciences worksheet. After they finish the worksheet, ask them to write 2 sentences about each holiday on notebook paper. 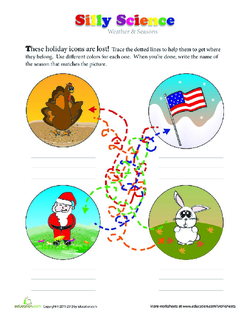 This worksheet will enable students to make the connection between seasons and their respective holidays. 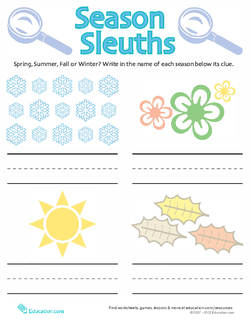 Ask your students to complete the Season Sleuths worksheet. Tell students to share their assessments with their elbow partner. Have students describe to their elbow partner a season of their choice, using their drawing and three words as support. 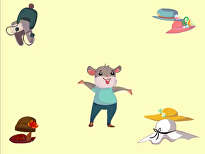 Prompt them to mention things they would wear, events people would attend, or places they would go during each season. Pass out 3 sheets of stapled paper to each student. Instruct your students to title the first page Seasons. Write the word SeasonsOn the board. Ask your students to title the second page Fall, the back of the second page Spring, the third page Winter, and the back of the third page Summer. 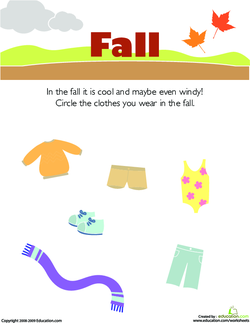 Instruct your students to create pictures for each season on the season's page. 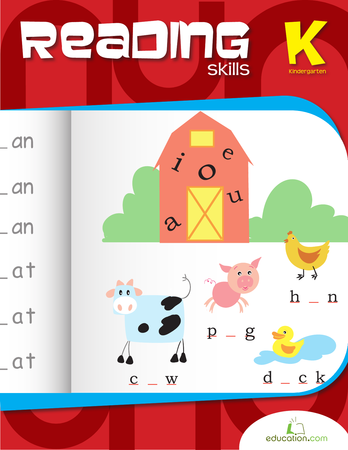 Direct them to write at least 3 words that describe the season on each season's page. 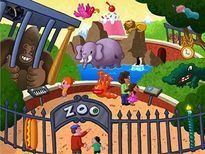 Your students will have fun looking at the pictures in each row and deciding which item is not like the others. Which of these items do not belong? 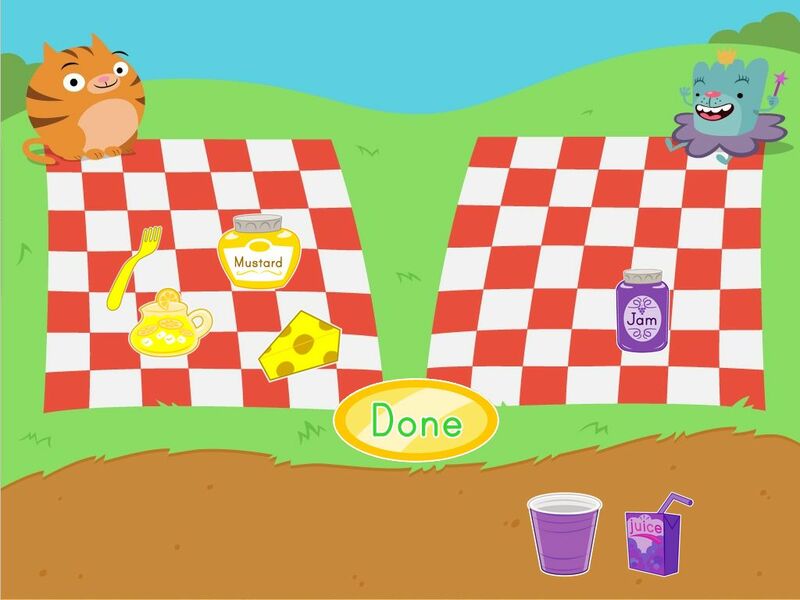 Help your child sort out which things go in a construction site and which do not. 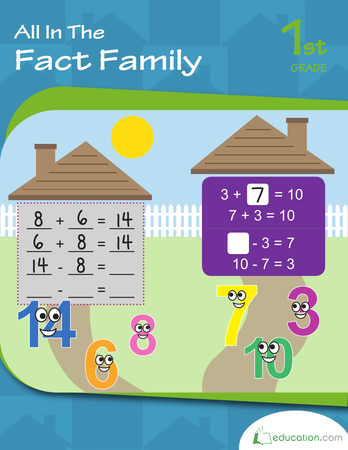 Kids sort items according to colour and determine which number of items is greater. 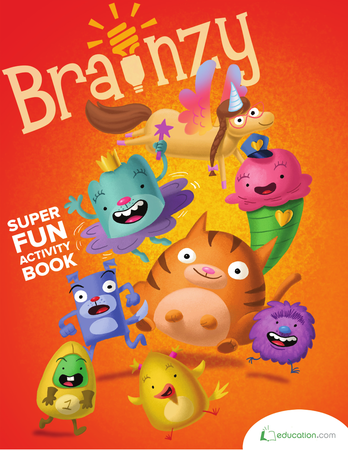 Explore the concept of time with your little learner. Which of these items are from the present day? 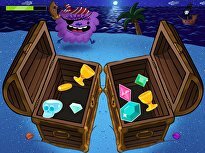 Which are from the past? Sort out your vehicles with this transportation review. Which of these vehicles can fly in the sky?